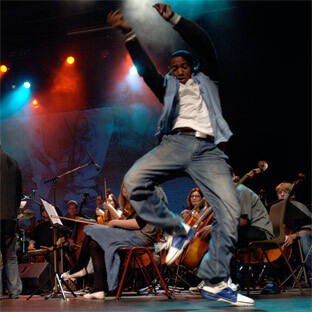 600 young people will perform Crescendo in Noliahallen, Umeå, a mammoth concert organised by Kulturakademin as part of the River Stories project. Crescendo is a cross-border collaboration in which music schools from Västerbotten participate along with several schools from Helgeland in Norway. Composer Arvid Martinsen and jazz musician are Jonas Knutsson are responsible for the music which will be lead by the Jonas Knutsson Quartet. The music is wonderful mix of pulsating rhythms based on folk music and improvisation.